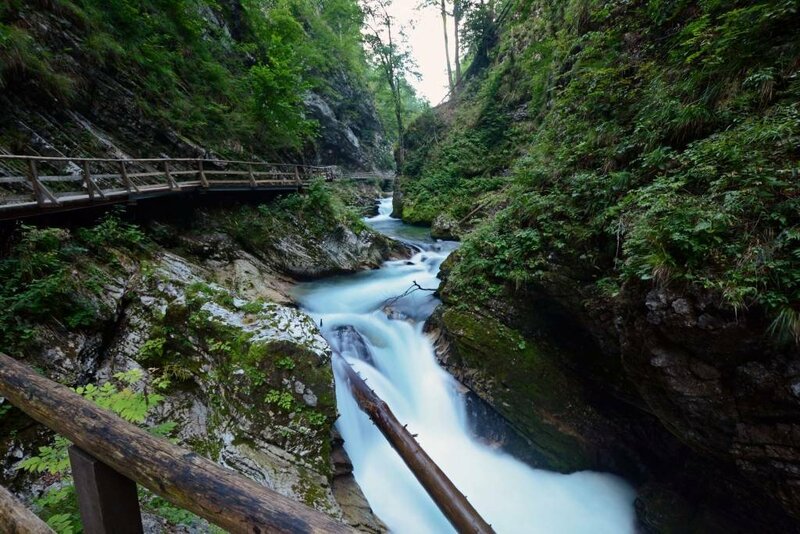 Following the picture perfect morning watching the sunrise over Lake Bled, we quickly made our way to Vintgar Gorge to beat the crowds! After reading several warnings online regarding the hordes of people arriving to the gorge by the busload, we wanted to get there early and enjoy the surroundings in solitude. We pulled into the parking lot just past 7 am and there was only one other car parked near the entrance. We each paid the 4 Euro entrance fee and walked right in. There was not another soul to be seen for at least 30 minutes. Arriving early allowed us the time to set up our tripod at various spots along the trail to capture beautiful images without any other visitors in our photos. At every turn of the wooden pathway, a beautiful new scene unfolded. 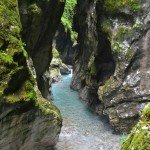 The gorge was unlike anything either of us had seen before and we were delighted to have it all to ourselves! 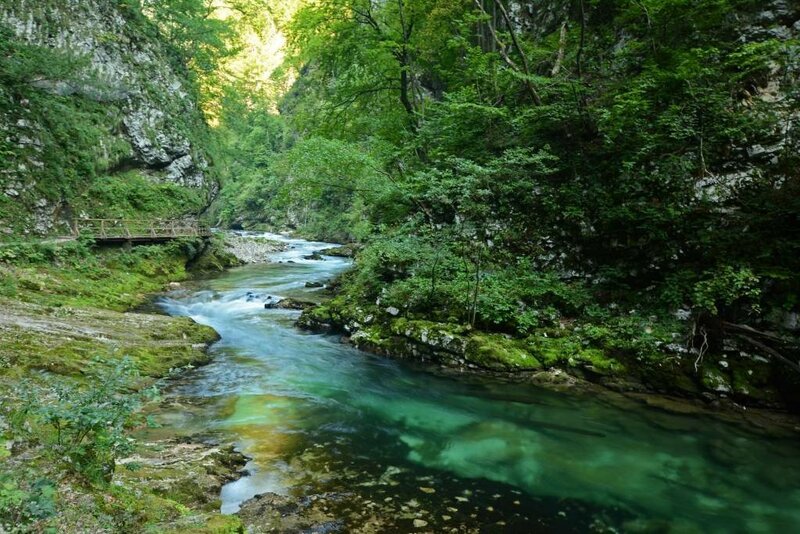 The 1-mile (1600m) trail running alongside and over the flowing Radovna River is appropriate for people of all ages and fitness levels. Eventually the trail turns from a wooden walkway to a smooth pebbled path with a few stairs here and there. 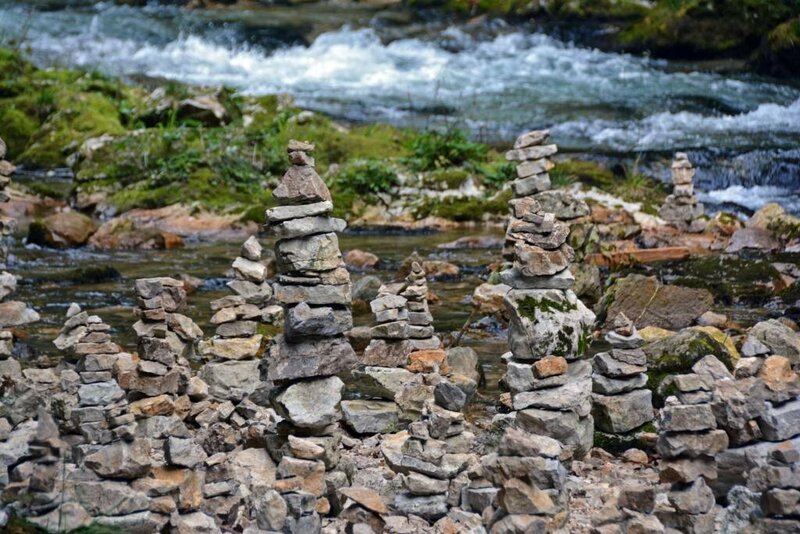 Trailgoers have created quite the display of balanced rocks along the riverbed here! The waters are a beautiful shade of teal and so crystal clear! We could see an abundance of trout swimming just below the surface. 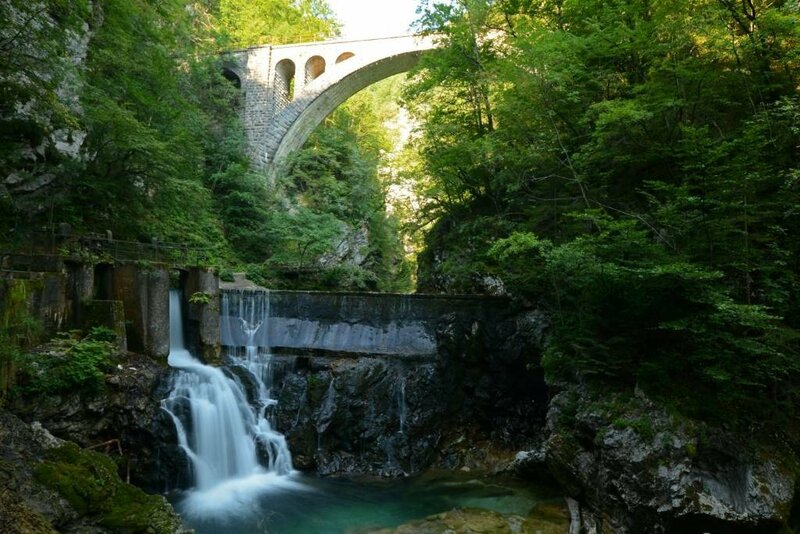 One notable feature along the trail is the single-arch stone bridge of the Bohinj Railway, constructed in 1906. 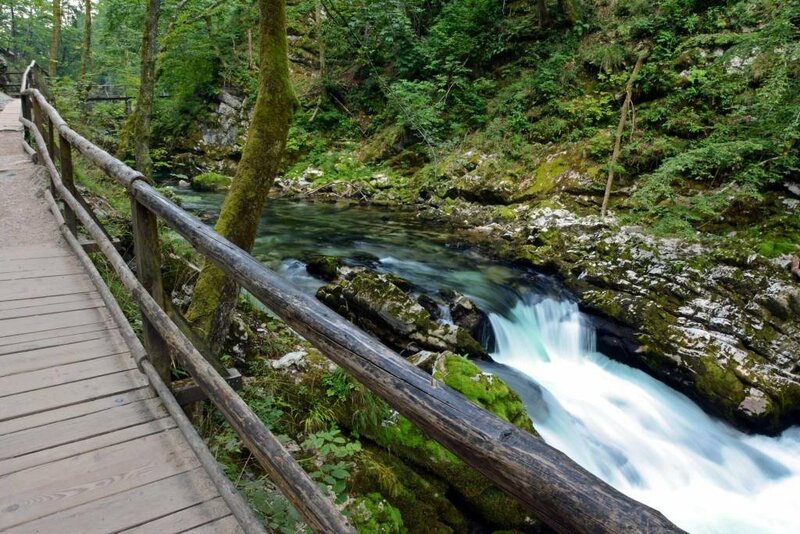 Here, the man-made dam routes the water to the small Vintgar hydroelectric power plant under Šum waterfall. 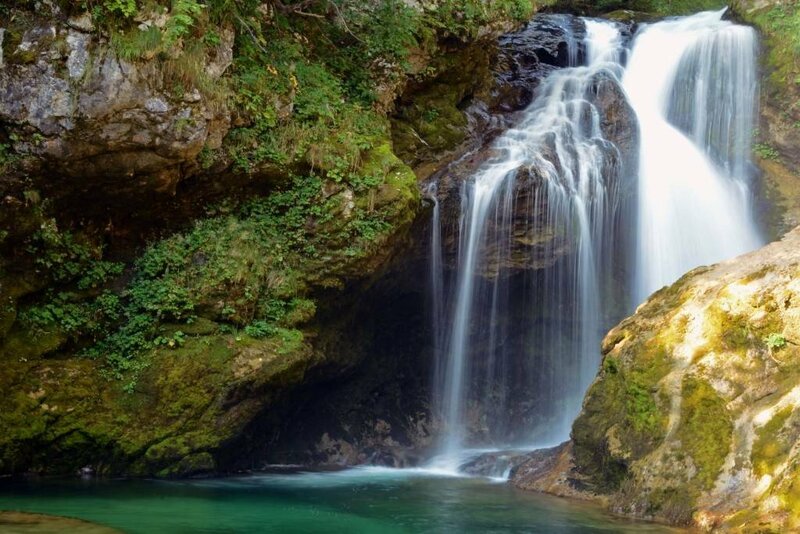 Šum waterfall (pictured below) is Slovenia’s highest river waterfall at 43 ft (13m). It literally translates to ‘noisy falls‘. In order to actually see the face of the falls (seen above), you have to follow a fairly tricky and not-well-maintained trail. 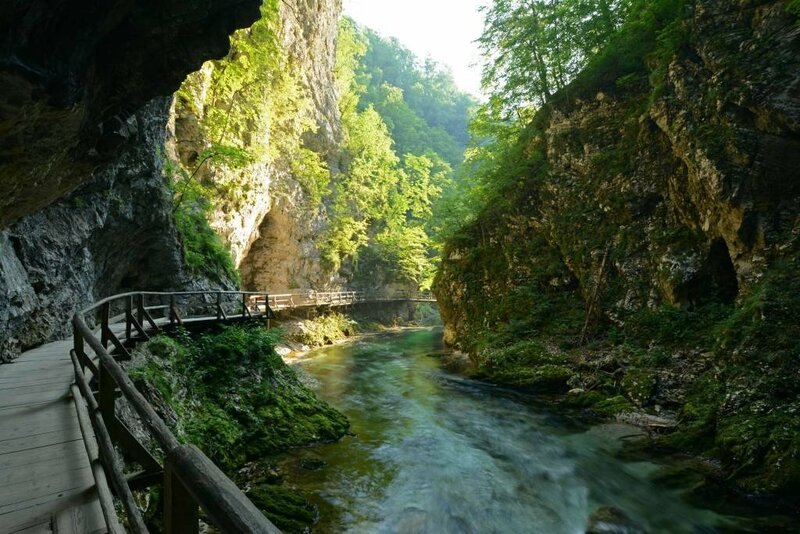 Most people visiting the gorge simply admire the waterfall from above before turning back toward the entrance. 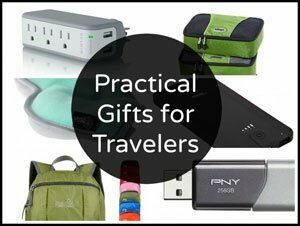 By the time we were ready to head back, the hordes of people we had been warned about started to arrive! 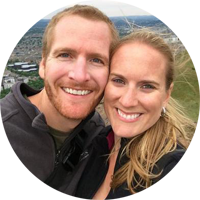 We put the camera and tripod away and just enjoyed the views as we squeezed past frustrated tourists waiting to get their best shot. 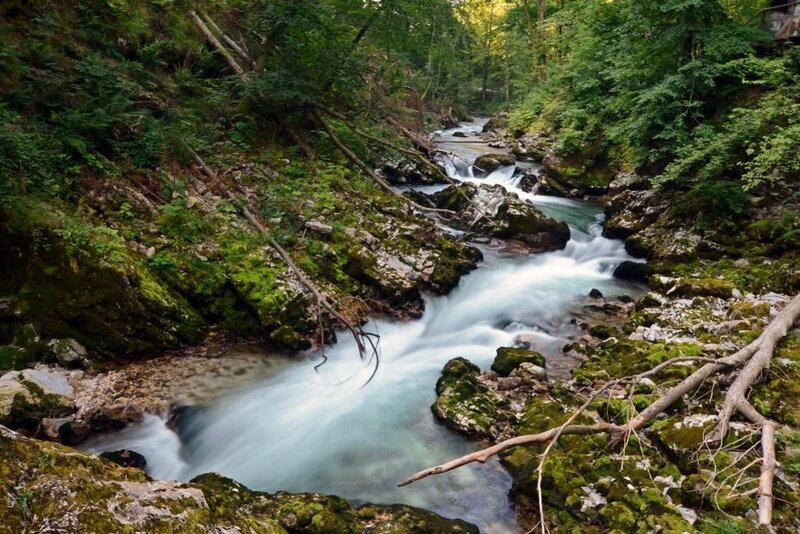 We certainly don’t want to discourage you from visiting Vintgar Gorge due to the amount of people, which is obviously more of a problem in the summer months. 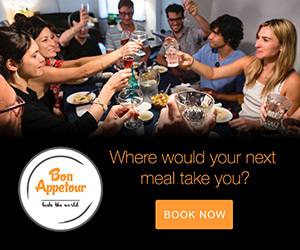 It is absolutely worth the visit. 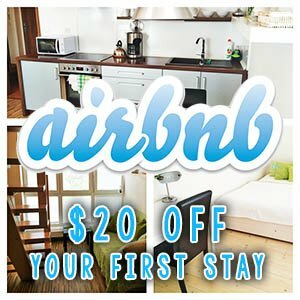 We simply want to emphasize the importance of arriving very early if you want to enjoy the surrounding beauty without an abundance of others. By the time we got back to our car (just after 10 am), the entire parking lot was completely full and people were having to park in an overflow lot down the street. We imagine much later in the day would also be a good time to visit, once the crowds have dissipated, but we can’t be 100% sure. 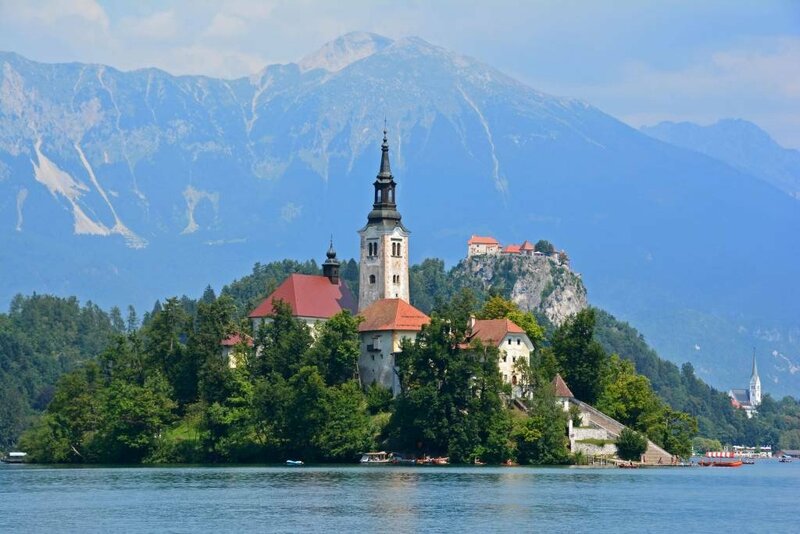 Vintgar Gorge is located just 3.3 miles (5.4 km) from the stunning Lake Bled (pictured below). 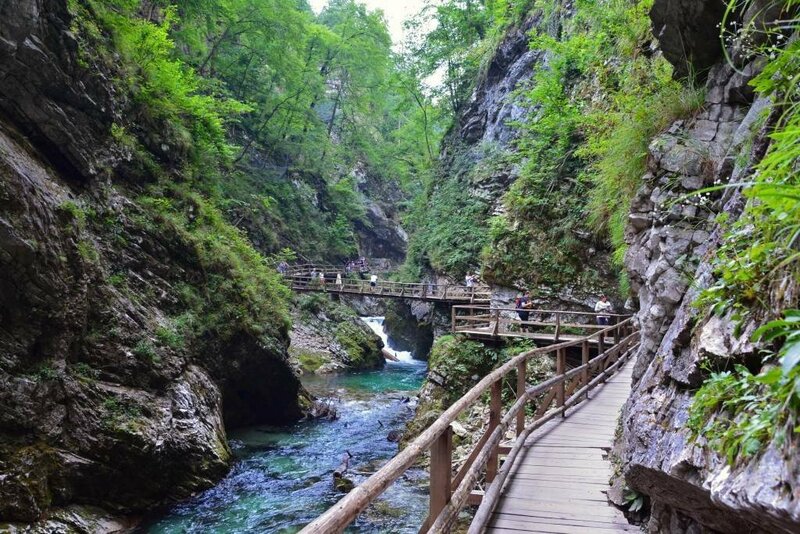 Also, if your schedule permits, we recommend you visit Tolmin Gorge as well. 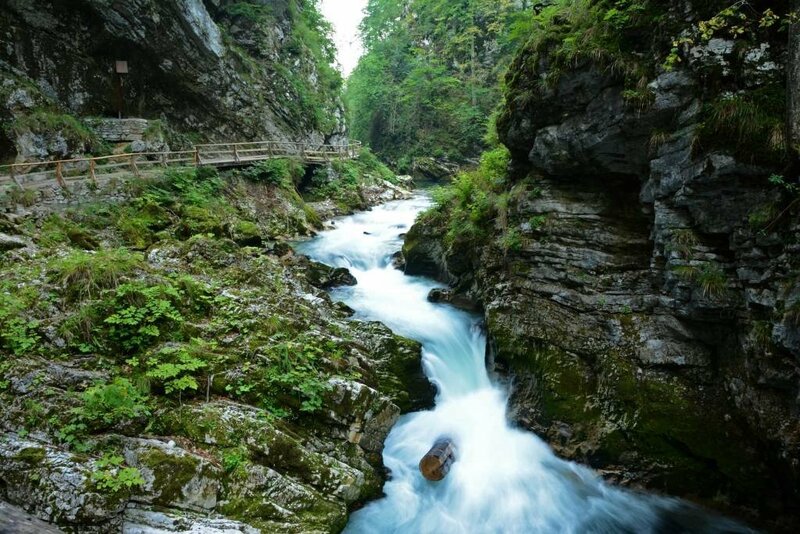 The gorge (pictured below) is located in the southern most part of Triglav National Park, about 2 hours from Vintgar Gorge. 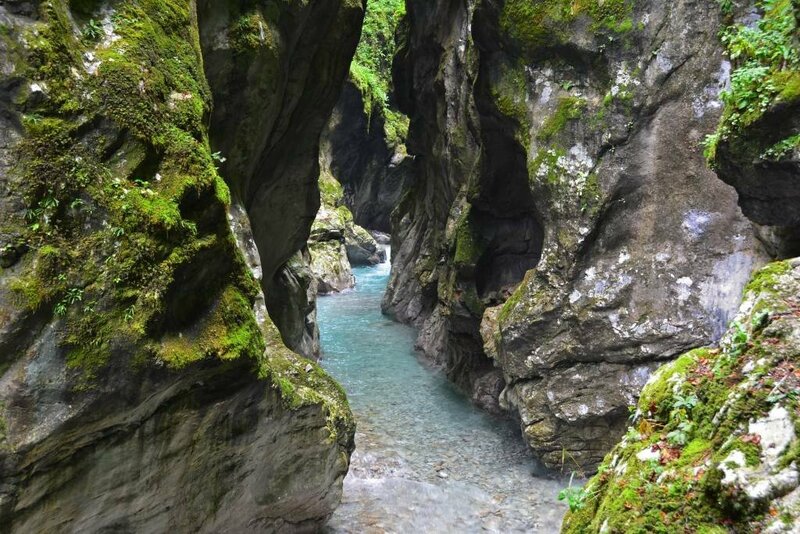 Partner a visit to Tolmin Gorge with a drive through the Julian Alps and a rafting trip on the Soča River for the ultimate Slovenian adventure in Triglav National Park! 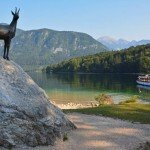 What’s your favorite natural attraction in Slovenia?